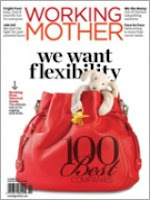 Go here and insert your information (you can choose homemaker as a career) to get a free one year subscription to Working Mother! This one is with Mercury Magazines. I have used them for several free magazines. You will never be sent a bill. Quantities are limited, so hurry.